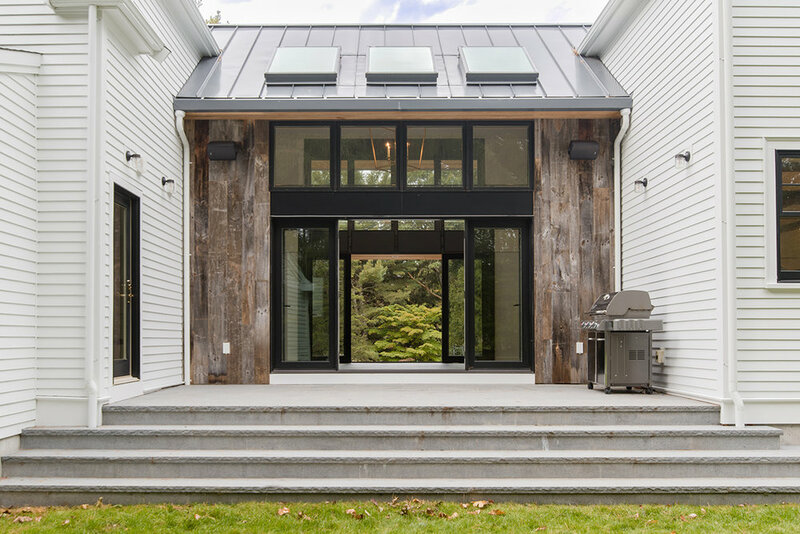 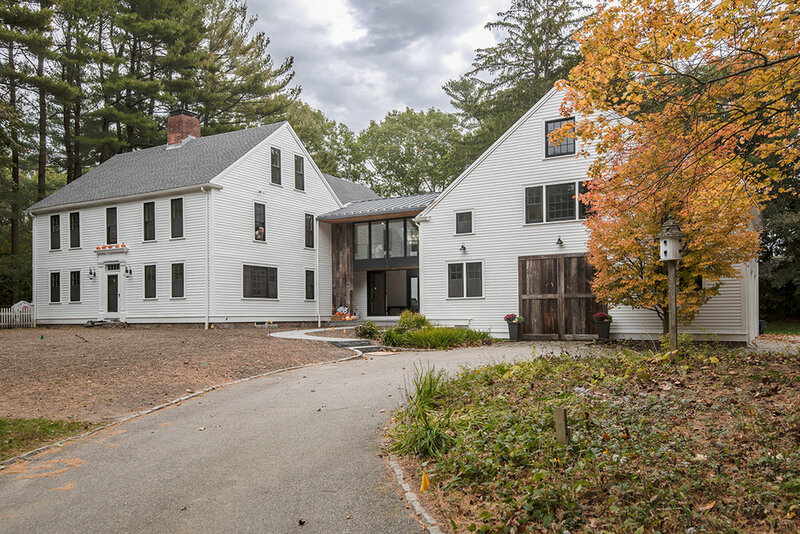 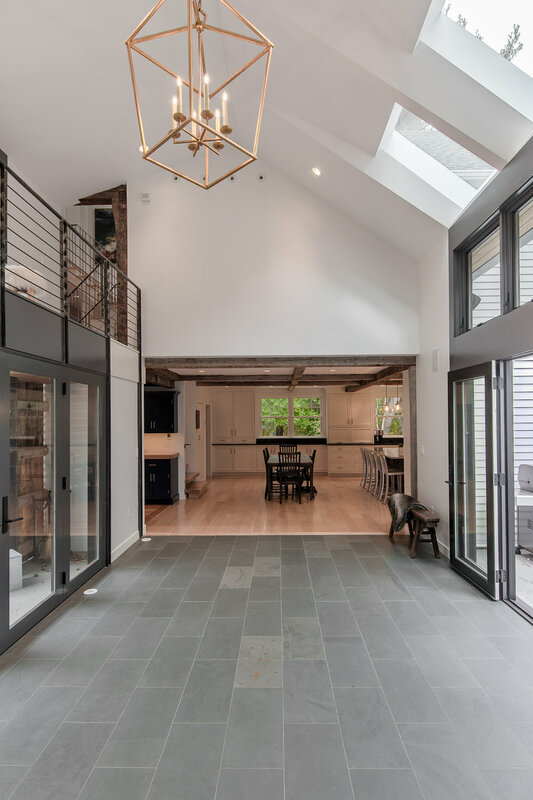 The challenge for this addition was to unify three building types from three distinct periods: a 1770s farmhouse, a 1990s garage / carriage house, and a new addition from the present. 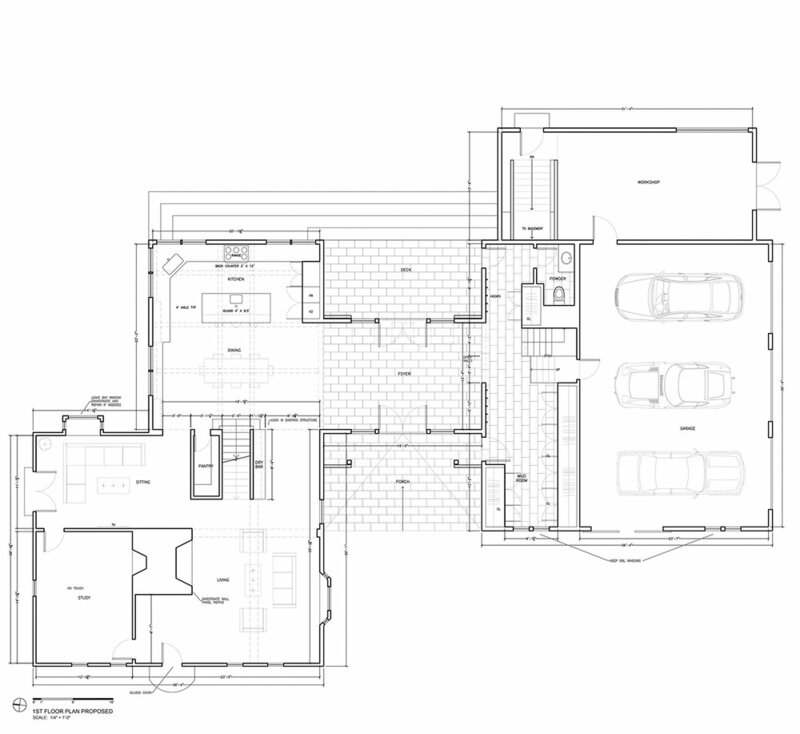 The bridging element that interconnects these disparate constructions is mostly made up of void, proposing an addition via subtraction. 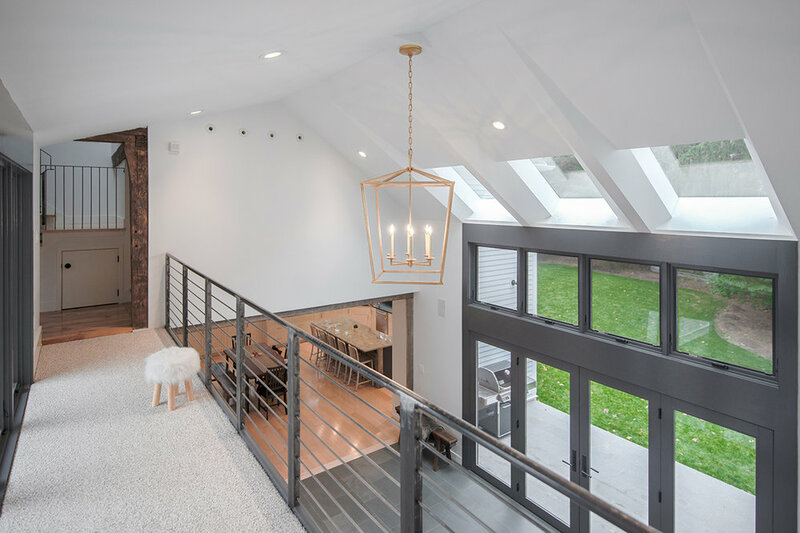 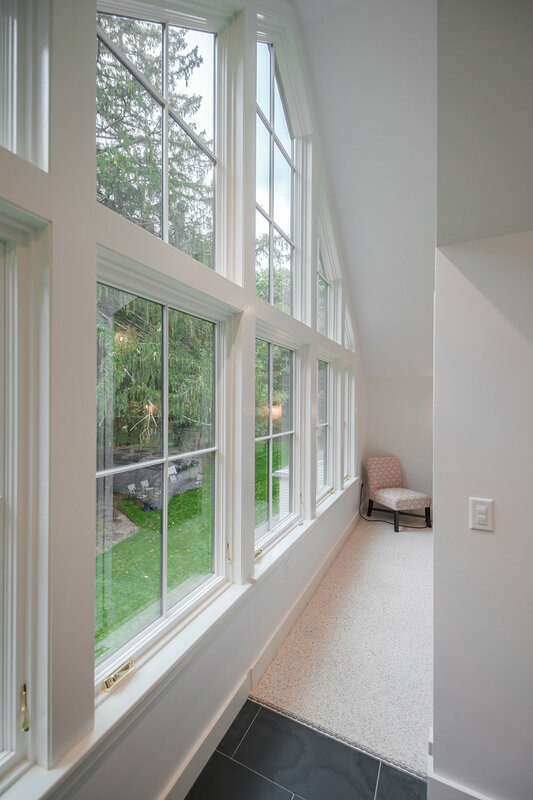 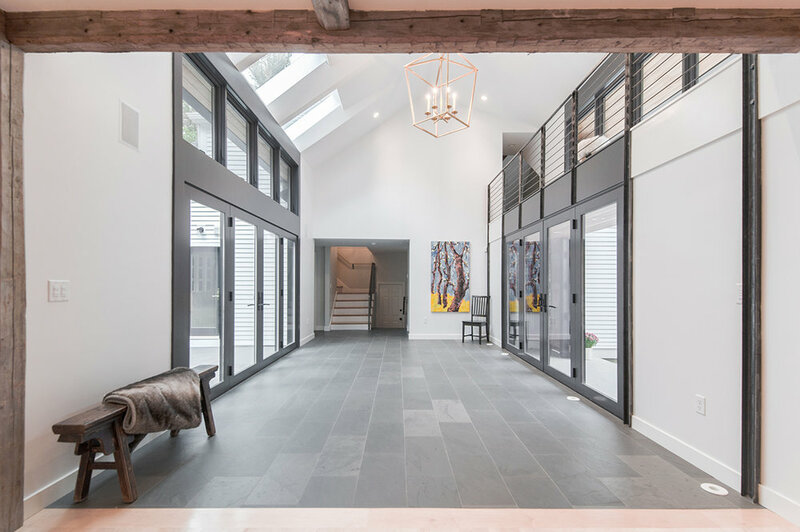 The mostly glazed, double-height space becomes a new grand-entry space, inviting both visitors and natural light into the center of the house.